Family Literacy - Early Childhood Associates, Inc.
Family literacy programs provide parents and children most in need of improving their literacy skills with a unified program of intensive services. Family literacy programs have proven benefits to adult participants – increased confidence, literacy competence, and interest in their own education. Our family literacy evaluation and research services builds on knowledge gained through our considerable evaluation work of the Massachusetts Even Start program and participation in the Massachusetts Family Literacy Consortium (MFLC). ECA worked with the Massachusetts Department of Elementary and Secondary Education since 1999 to evaluate Even Start including, longitudinal research on its effectiveness. 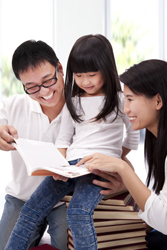 The Guide to Assess the Quality of Family Literacy Programs is a unique program-reflection and quality improvement tool for family literacy programs developed by ECA. The Guide helps programs document strengths and challenges in 45 different program characteristics ranging from program design, management and collaboration to parent education and interactive literacy. The Guide informs your quality improvement efforts and provides evidence of success to share with partners, funders, and community members. The JumpStart Family Literacy Curriculum is an acclaimed interdisciplinary curriculum for children, families and adult learners. This cross cultural, activity-based curriculum contains stimulating materials that young children, parents, teachers and caregivers can use together to increase literacy, develop emergent literacy skills, and deepen appreciation for their own and others’ cultural traditions. The curriculum contains hands-on materials for exploring ten high-interest concepts and topics: Food, dreams, myths, special days, family traditions, time, traditional stories, and others. It uses award winning children’s books, learning projects and resources for learners in a range of school and community settings. 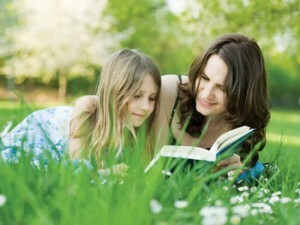 JumpStart was created by a team of child development, adult literacy, and curriculum design experts. ECA launched JumpStart with a competitive grant from the U.S. Department of Education for Small Business Innovation and Research (SBIR).